Exclusive Weddings can make your dream come true! Whether it is a romantic ceremony in Venice or a charming wedding in the eternal city of Rome, we can offer you an experience of a lifetime. Chose from a wide selection of wonderful locations: from Florence -the pearl of Renaissance- to the beautiful Mediterranean towns of the Amalfi coast: Sorrento, Positano, Ravello and Capri. From the soft and quiet hills of Siena to the charming medieval towns of Tuscany and Umbria. 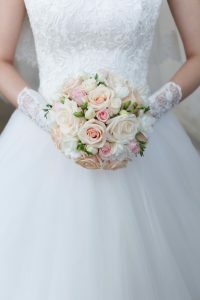 Our professional wedding planners will take care of every detail, from legal matters to a perfect co-ordination on the grand day, assuring you a friendly and reliable assistance throughout the entire process. We can organize your exclusive Italian wedding: Civil, Catholic, Orthodox, Protestant, Jewish or symbolic ceremonies and special anniversary celebrations, from luxury events to intimate budget ones. 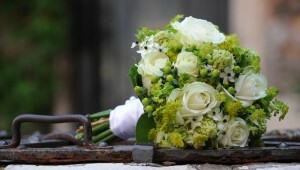 All our events are tailored to your personal specifications: our commitment is to make your special day unforgettable. Italy offers the romance of its exceptional locations: spectacular landscapes and unique historical cities with castles and villas……. Organize your exclusive Italian Wedding in many magnificent locations. This country offers some of the most amazing landscapes and venues in Europe. Each venue has been carefully selected for the outstanding location and quality of services. They are all perfect settings for the wedding of your dreams. A Wedding in Italy is an affordable event that will give you memories of a lifetime. Contact our wedding planners for free quotations. Weddings in Italy need careful planning: an accurate organization is the key to a successful and memorable event. Whether it is a Wedding in Sorrento or a Wedding in Amalfi it is essential to book Italian venues in advance to ensure availability in the location requested. Weddings in Rome are a popular request. Rome offers many facilities and a vast range of churches and town halls. It is also possible to organize a Catholic Wedding in Vatican city. Weddings in Florence are a good choice for all those who love to combine the beauty of natural landscapes with wonderful Italian masterpieces of art. 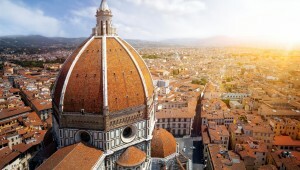 Venues in Florence are impressive: outstanding castles, baroque and renaissance churches and magnificent palaces. A Wedding in Tuscany is perfect for couples who enjoy country holidays, gourmet trips, Italian wine tasting courses. All your guests could enjoy a relaxing holiday after the wedding in the peaceful Tuscan countryside and visit the nearby towns such as Florence, Siena, San Giminiano and Pisa. Our Weddings in Chianti are one of the most requested ceremonies. Weddings in Venice are absolutely the most romantic ceremonies available: Catholic , protestant, Jewish, civil or symbolic, whichever type you prefer, you will be able to select between a vast range of superb venues: five star hotels, magnificent palaces and gondola ceremonies. Protestant weddings in Italy are possible in many parts of Italy. This type of ceremony can be organized in many Italian venues and has very few restrictions. It is also possible to organize beach ceremonies or garden ceremonies in some wonderful places. A Symbolic wedding in Italy can be organized wherever you prefer: in gardens, terraces, villas, on the beach, in a castle. It is a perfect ceremony for those who do not want to go through all the burocratic procedures or for those who just want to organize an anniversary celebration or renewal of vows.